Eunice Reed was born on 18 August 1778 at Granby, Hartford Co., CT.1 She was the daughter of Martin Reed and Mary Moore.2 Eunice Reed married Calvin Holcombe, son of Roger Hayes Holcombe and Mercy Gillett, on 22 February 1798. Eunice Reed died on 14 August 1848 at Paris, Portage Co., OH, at age 69. [S414] Hon. Horace L. Moore, Andrew Moore, Page 44. [S414] Hon. Horace L. Moore, Andrew Moore, Page 43. Mercy Holcombe was the daughter of Roger Hayes Holcombe and Mercy Gillett. Served as a deacon in the Congregational Church, Granby, CT.
[S25] Hannah McPherson, Holcombe Genealogy, Page 119.1/Item A-8-1-1-13-5. [S65] Deanna Holcomb Bowman Thomas Holcomb, Vol. I:Pg 152/Item 811a5. Lurana Holcombe was the daughter of Roger Hayes Holcombe and Mercy Gillett. This is not the Lurana that married Roswell Skinner. [S25] Hannah McPherson, Holcombe Genealogy, Page 119.1/Item A-8-1-1-13-6. Roswell Skinner married Mary (?) Roswell Skinner married Lurana Pinney on 16 August 1803 at East Granby, Hartford Co., CT. Roswell Skinner died in 1831. Anna Holcombe was born in 1784 at Granby, Hartford Co., CT. She was the daughter of Roger Hayes Holcombe and Mercy Gillett. Anna Holcombe married Austin Caldwell, son of Timothy Caldwell and Rhoda Kellogg, in 1806. Anna Holcombe died in 1826. [S25] Hannah McPherson, Holcombe Genealogy, Page 119.1/Item A-8-1-1-13-8. [S104] DAR DAR Lineage book, Vol. LXV:Pg. 120/Item 64351; Vol. XC:Pg 13/Item 89041. Austin Caldwell was also known as Austin Cadwell. He was born in 1787. He was the son of Timothy Caldwell and Rhoda Kellogg. Austin Caldwell married Anna Holcombe, daughter of Roger Hayes Holcombe and Mercy Gillett, in 1806. Austin Caldwell died in 1857. [S25] Hannah McPherson, Holcombe Genealogy, Page 119.2/Item A-8-1-1-13-9. [S161] Carol A. Laun, Granby Center Cemetery, Page 71. [S25] Hannah McPherson, Holcombe Genealogy, Page 149.1, item A-8-1-6-1-1. [S25] Hannah McPherson, Holcombe Genealogy, Page 119.2/Item A-8-1-1-13-10. [S161] Carol A. Laun, Granby Center Cemetery, Page 126. [S161] Carol A. Laun, Granby Center Cemetery. Dr. Josiah Topping was born in 1726 at Long Island, NY. He was the son of Josiah Topping. Dr. Josiah Topping was graduated in 1749 at Yale. He married Susannah Holcombe, daughter of Lt. David Holcombe and Mehitable Buttolph, on 15 November 1756 at Simsbury, Hartford Co., CT.2 Dr. Josiah Topping died in 1790. [S65] Deanna Holcomb Bowman Thomas Holcomb, Vol. I:Pg. 154. [S45] Albert C. Bates, Simsbury, Page 159. [S312] Virginia Mccormick, Scioto Company Descendants, Page 265. [S312] Virginia Mccormick, Scioto Company Descendants, Page 273. [S25] Hannah McPherson, Holcombe Genealogy, Page 151, Item A-8-1-6-1-2. [S45] Albert C. Bates, Simsbury, Page 220. [S161] Carol A. Laun, Granby Center Cemetery, Page 123. [S243] Rev. Charles Wells Hayes, George Hayes, Page 59. [S807] Find A Grave, online http://www.findagrave.com, Find A Grave, database and images (https://www.findagrave.com : accessed 15 April 2019), memorial page for Sadie Banning Holcomb (4 Jun 1769–Dec 1809), Find A Grave Memorial no. 120014749, citing Ulster Cemetery, Ulster, Bradford County, Pennsylvania, USA ; Maintained by LDR (contributor 47171969) . [S25] Hannah McPherson, Holcombe Genealogy, page 138.1. Eli was recorded in the 1840 census of Leroy, Bradford Co., PA, with total household of 6 males and 6 females. Eli was recorded in the 1850 census of LeRoy, Bradford Co., PA as a farmer, age 58. Eli II was recorded in the 1870 census of Leroy, Bradford Co., PA, as a farmer. He attended the Holcombe reunion in October 9, 1879 at Leroy, reported then as 85 years old. Eli was recorded in the 1880 census of LeRoy, age 85, a farmer, with wife Harriet, age 78. Neil McDonell, adam1984@yahoo.com, also lists The History of Bradford Co., PA, by H. C. Bradsby, 1891, Chicago, S.B. Nelson and Co., page 885; and History of Bradford Co., 1770-1878, by Rev. David Craft. Neil shows Harriet's death as 20 Nov. 1889. [S23] Jesse Seaver, The Holcomb(e) Genealogy, Page 80/Item 240.1. [S25] Hannah McPherson, Holcombe Genealogy, Page 138.1/Item A-8-1-2-13-3-1. [S807] Find A Grave, online http://www.findagrave.com, Find A Grave, database and images (https://www.findagrave.com : accessed 14 April 2019), memorial page for Eli Holcomb (14 Oct 1794–14 Sep 1885), Find A Grave Memorial no. 85774305, citing Holcomb Cemetery, Leroy, Bradford County, Pennsylvania, USA ; Maintained by history4sure (contributor 46997739) . [S807] Find A Grave, online http://www.findagrave.com, Find A Grave, database and images (https://www.findagrave.com : accessed 13 April 2019), memorial page for Eli Holcomb (14 Oct 1794–14 Sep 1885), Find A Grave Memorial no. 85774305, citing Holcomb Cemetery, Leroy, Bradford County, Pennsylvania, USA ; Maintained by history4sure (contributor 46997739) . Samuel is recorded in the 1850 Census of Ulster, Bradofrd Co., Pa. as an inn-keeper and in 1870 at Fairvile, Jones Co., Ia. as a farmer. S.B. and Maria were enumerated in the 1860 Smithfield, Bradford Co., PA, federal census. Children in the household were William 28, Valeria 25, Samuel 18, Edward 14, and Annette 12. Samuel Benedict Holcombe was born on 3 June 1800 at Ulster, Bradford Co., PA. He was the son of Truman H. Holcombe and Sadie Banning. Samuel Benedict Holcombe married Maria Alexander. [S25] Hannah McPherson, Holcombe Genealogy, Page 139.1/Item A-8-1-2-13-3-4. Alfred was recorded in the 1850 census of Ulster Twp. Bradford Co., PA, as a millwright and in the 1870 census as a farmer and millwright. He attended the Holcombe reunion August 11, 1886, reported as then 84 years old. [S25] Hannah McPherson, Holcombe Genealogy, Page 140.1/Item A-8-1-2-13-3-5. [S807] Find A Grave, online http://www.findagrave.com, Find A Grave, database and images (https://www.findagrave.com : accessed 14 April 2019), memorial page for Alfred Holcomb (24 May 1802–11 Apr 1890), Find A Grave Memorial no. 119997494, citing Ulster Cemetery, Ulster, Bradford County, Pennsylvania, USA ; Maintained by LDR (contributor 47171969) . [S25] Hannah McPherson, Holcombe Genealogy, page 140.1. Seba Holcombe was born on 25 October 1796 at Ulster, Bradford Co., PA. She was the daughter of Truman H. Holcombe and Sadie Banning. Lucy B. Holcombe was born on 15 September 1798 at Ulster, Bradford Co., PA. She was the daughter of Truman H. Holcombe and Sadie Banning. Lucy B. Holcombe married Perley Morse, son of Jesse Morse and Persis Stone. Lucy B. Holcombe died on 16 February 1855 at LeRoy, Bradford Co., PA, at age 56. [S25] Hannah McPherson, Holcombe Genealogy, Page 138.2/Item A-8-1-2-13-3-3. Minerva Holcombe was born on 3 May 1804 at Ulster, Bradford Co., PA. She was the daughter of Truman H. Holcombe and Sadie Banning. Minerva Holcombe married Weldon Gallup. [S25] Hannah McPherson, Holcombe Genealogy, Page 140.1/Item A-8-1-2-13-3-6. Benj. and Delight wre enumerated in the 1850 Granville, Bradford Co., PA, federal census. He was a farmer, age 50, she was 43. Children in the household were Valentine 22, Oscar 18, Solon 15, Edward 13, Samantha 8, Susanna 6, and Benjamin 4. Benj. and Delight were enumerated in the 1860 Granville, Bradford Co., PA, federal census. He was a Carpenter, age 60, she was 64. Children in the household were Samantha 18, Susan 16, Benj. 14, and C.H. 9. Widow Delight was enumerated in the 1870 Granville, Bradford Co., PA, federal census. She was 64. children in the household wre Benamin 24, and Chas. H. 20. Children of Delight Holcombe and Benjamin Saxton Jr.
[S25] Hannah McPherson, Holcombe Genealogy, Page 140.1/Item A-8-1-2-13-3-7. [S807] Find A Grave, online http://www.findagrave.com, Find A Grave, database and images (https://www.findagrave.com : accessed 14 April 2019), memorial page for Delight Holcomb Saxton (30 Jan 1806–3 Dec 1870), Find A Grave Memorial no. 47597589, citing Granville Center Cemetery, Granville Center, Bradford County, Pennsylvania, USA ; Maintained by LDR (contributor 47171969) . Lydia Holcombe was born on 6 December 1809 at Ulster, Bradford Co., PA. She was the daughter of Truman H. Holcombe and Sadie Banning. [S25] Hannah McPherson, Holcombe Genealogy, Page 140.1/Item A-8-1-2-13-3-8. [S807] Find A Grave, online http://www.findagrave.com, Find A Grave, database and images (https://www.findagrave.com : accessed 14 April 2019), memorial page for Harriet Bailey Holcomb (10 Apr 1801–20 Nov 1884), Find A Grave Memorial no. 85779238, citing Holcomb Cemetery, Leroy, Bradford County, Pennsylvania, USA ; Maintained by history4sure (contributor 46997739) . Maria Alexander was born at NY. She married Samuel Benedict Holcombe, son of Truman H. Holcombe and Sadie Banning. Amanda Simmons was born say 1810 at PA. She married Alfred Holcombe, son of Truman H. Holcombe and Sadie Banning, in 1829 at Ulster, Bradford Co., PA.1 Amanda Simmons died before 1870. Perley Morse was born on 14 October 1794. He was the son of Jesse Morse and Persis Stone. Perley Morse married Lucy B. Holcombe, daughter of Truman H. Holcombe and Sadie Banning. Perley Morse died in July 1843 at LeRoy, Bradford Co., PA, at age 48. Perley is recorded in the 1850 census of LeRoy, Bradford Co., Pa, age 54 as a farmer, with Lucy, age 50, and Sevellon, age 12. Weldon Gallup married Minerva Holcombe, daughter of Truman H. Holcombe and Sadie Banning. [S807] Find A Grave, online http://www.findagrave.com, Find A Grave, database and images (https://www.findagrave.com : accessed 14 April 2019), memorial page for Benjamin Saxton (1800–31 Sep 1862), Find A Grave Memorial no. 47597651, citing Granville Center Cemetery, Granville Center, Bradford County, Pennsylvania, USA ; Maintained by LDR (contributor 47171969) . Orlando Holcombe was born on 25 June 1833 at Ulster, Bradford Co., PA. He was the son of Samuel Benedict Holcombe and Maria Alexander. Orlando Holcombe married Jida Stultz in April 1872 at Orango, Jasper Co., MO. Orlando Holcombe died on 10 October 1921 at Clayton, NM, at age 88. Orlando and Fidelia were enumerated the 1860 Smithfield, Bradford Co., PA, federal census. He was a blacksmith age 24, she was 16. Children in the household were Albert 1, and Fred 6/12. Orlando moved with his father and brothers from Ulster, Bradford Co., Pa. to Fairville, Jones Co., Ia; moved between 1865 and 1870 to Carthage, Georgia Twp., Jasper Co., Mo. where he was a blacksmith when recorded there in 1870 Census with family; moved about 1905 to House, Quay Co., New Mexico. [S25] Hannah McPherson, Holcombe Genealogy, Page 139.1/Item A-8-1-2-13-3-4-5. [S25] Hannah McPherson, Holcombe Genealogy, Page 139.1, Item A-8-1-2-13-3-4-5-2. [S747] Carol Laun, "David Holcombe," e-mail to James Holcombe, 16 January 2012. Elizabeth Holcombe was born on 5 October 1753 at Granby, Hartford Co., CT. She was the daughter of David Holcombe II and Elizabeth Griffin. [S25] Hannah McPherson, Holcombe Genealogy, Page 119.2/Item A-8-1-2-2-2. Theodocia Holcombe was born on 29 July 1756 at Granby, Hartford Co., CT. She was the daughter of David Holcombe II and Elizabeth Griffin. [S25] Hannah McPherson, Holcombe Genealogy, Page 119.2/Item A-8-1-2-2-3. Lucretia Holcombe was born on 31 August 1759 at Granby, Hartford Co., CT. She was the daughter of David Holcombe II and Elizabeth Griffin. [S25] Hannah McPherson, Holcombe Genealogy, Page 119.2/Item A-8-1-2-2-4. 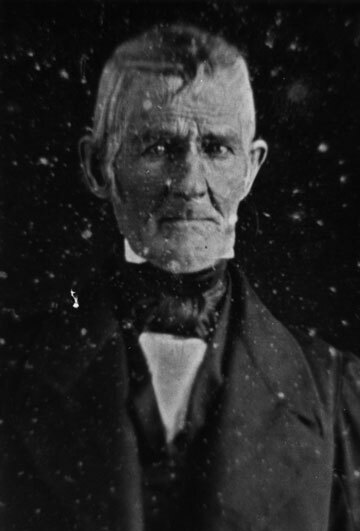 Joel Holcombe was born on 5 February 1761 at Granby, Hartford Co., CT. He was the son of David Holcombe II and Elizabeth Griffin. Joel Holcombe married Sarah Warner in 1794 at CT. Joel Holcombe died on 1 June 1847 at Leroy, Lake Co., OH, at age 86, and was buried at Paine Road Cemetery, Leroy, Lake Co., OH. After marrying, Joel moved into Mass., remaining there a short time; then to Onondaga, NY, where their five children grew up. In 1830, he and Elisha Patch, with their families, made the journey to Ohio, driving an ox team, the wagon containing their goods and the young girls and Marcus walking nearly all the way. Securing a heavily-timbered farm in Leroy, Lake Co., they went to work to make a home. All the privations of the early settler were theirs. At the age of 18 yrs. enlisted for 8 months in the Revolutionary War. He served in the regular Conn. Line, under Col. Samuel Sylly from April 26 to Dec 31, 1778. [S65] Deanna Holcomb Bowman Thomas Holcomb, Vol. I:Pg. 153/Item 81225. [S23] Jesse Seaver, The Holcomb(e) Genealogy, Page 84/Item 242. [S25] Hannah McPherson, Holcombe Genealogy, Page 119.2, 120.1/Item A-8-1-2-2-5. [S104] DAR DAR Lineage book, Vol XCVIII:Pg 194/Item 97628. Sarah Warner was born in 1770. 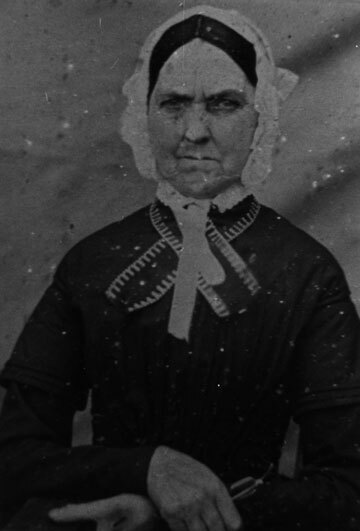 She married Joel Holcombe, son of David Holcombe II and Elizabeth Griffin, in 1794 at CT. Sarah Warner died on 19 December 1853 at Leroy, Lake Co., OH. She was buried at Paine Road Cemetery, Leroy, Lake Co., OH. Shadrack Moore married Miriam Stevens. Shadrack Moore was born on 19 September 1717. He was the son of William Moore and Damaris Phelps. 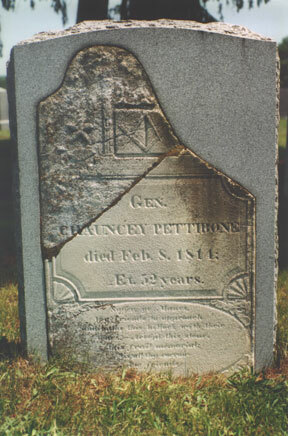 Shadrack Moore died on 21 October 1798 at Southwick, Hampden Co., MA, at age 81.